For directions to the office from the city centre you can download a map and directions which details walking and bus routes from Waverley Station. Individual team members can also be contacted on our mobile numbers. 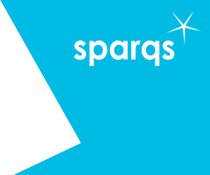 If you have a query for sparqs generally, or specifically for one of our team, please use the form opposite entering your query in the message box provided. We produce targeted communications promoting our various events, training, conferences, materials and resources and will include you in these mailings as appropriate. Please tick the box beneath your contact details if you wish to be added to our mailing list. You are welcome to unsubscribe at any time by emailing admin@sparqs.ac.uk with UNSUBSCRIBE in the subject line.